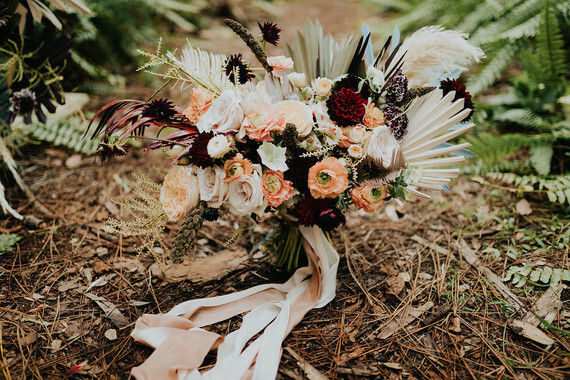 All the flowers in yesterday’s moody, rustic wedding were pretty amazing, huh? 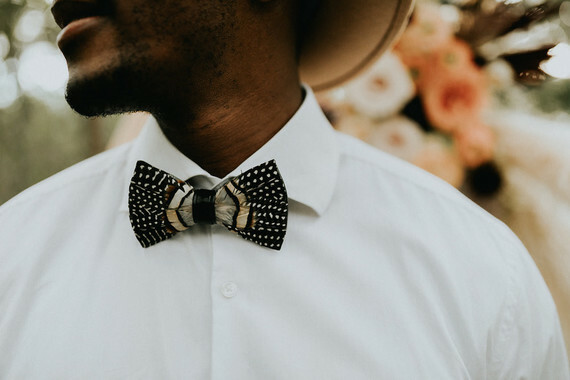 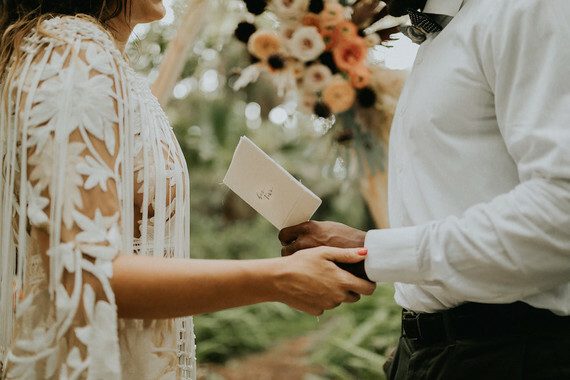 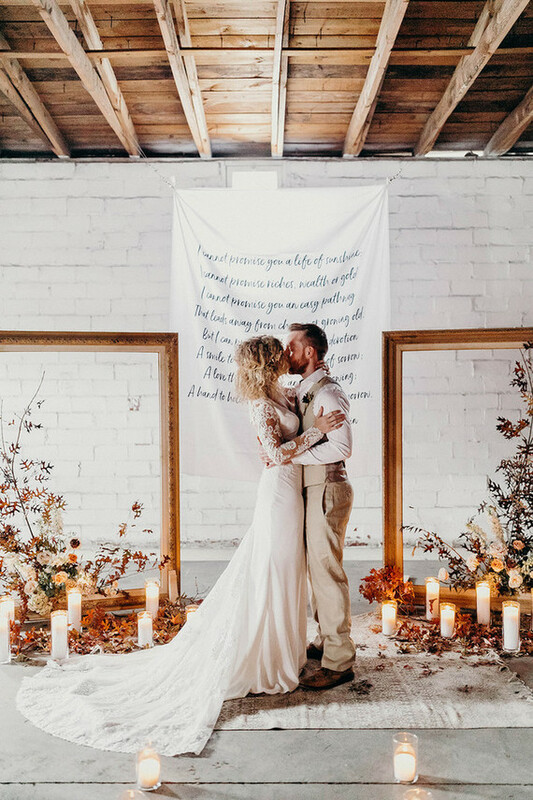 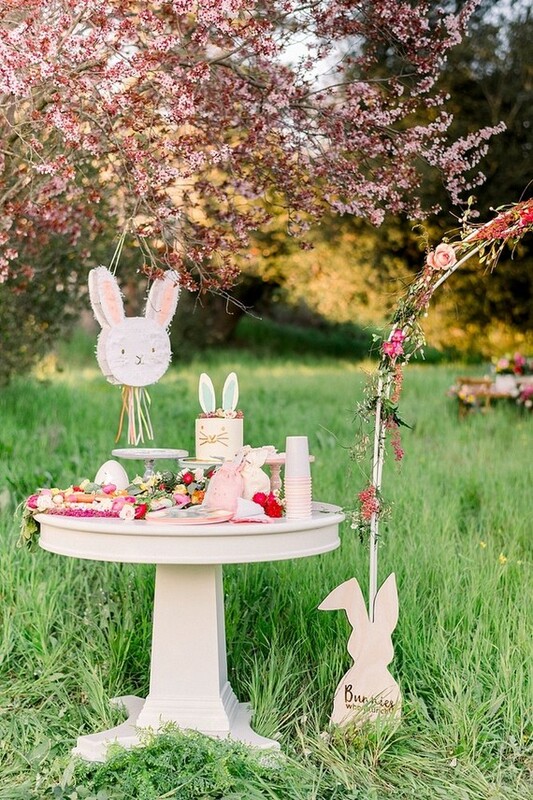 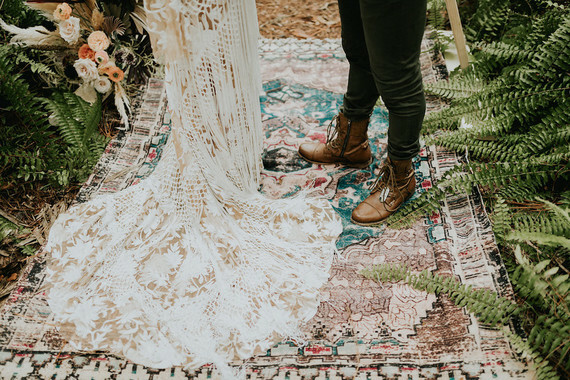 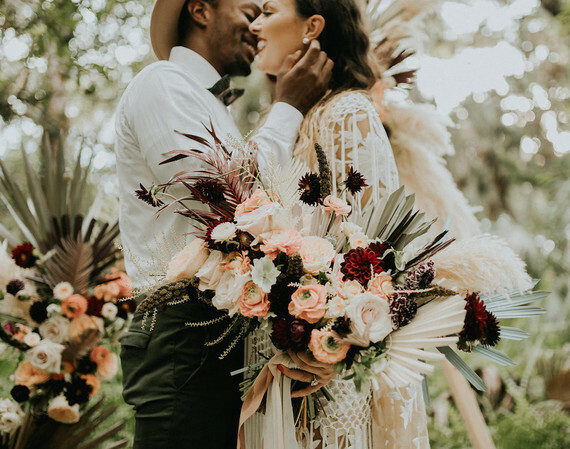 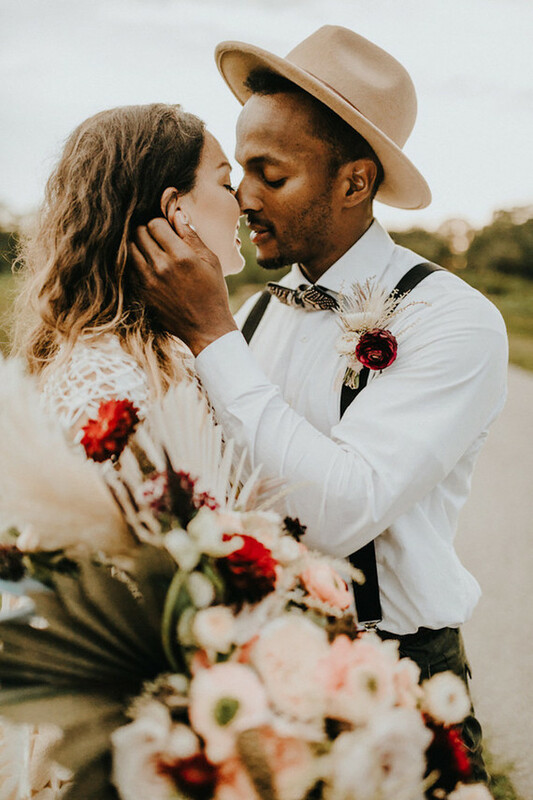 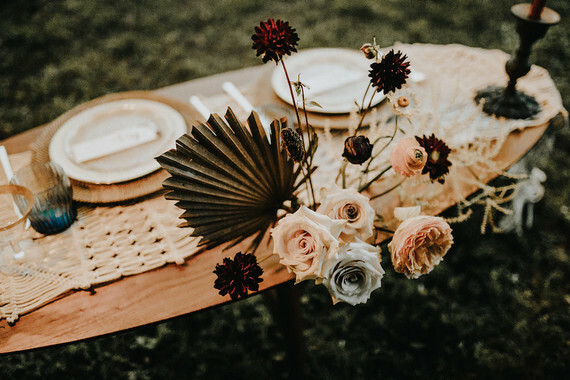 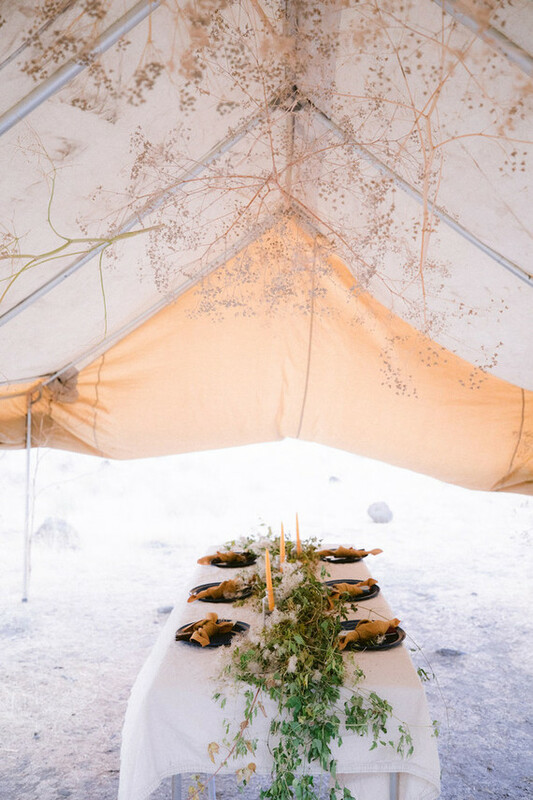 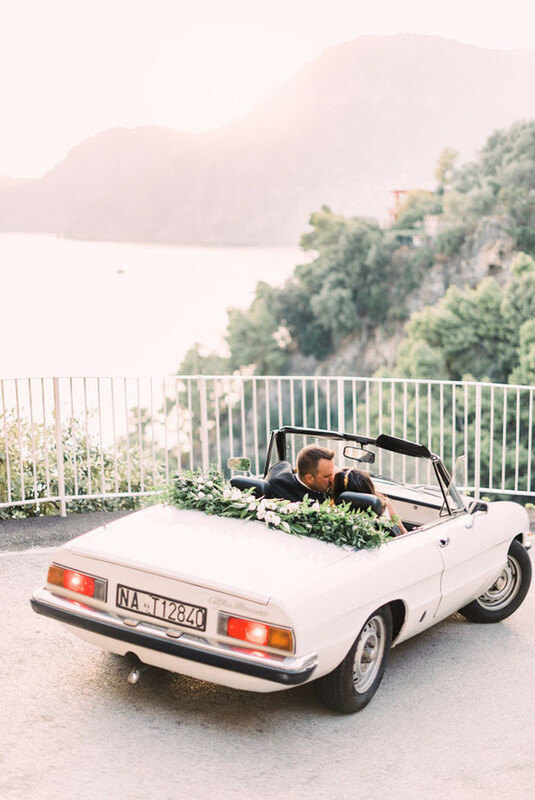 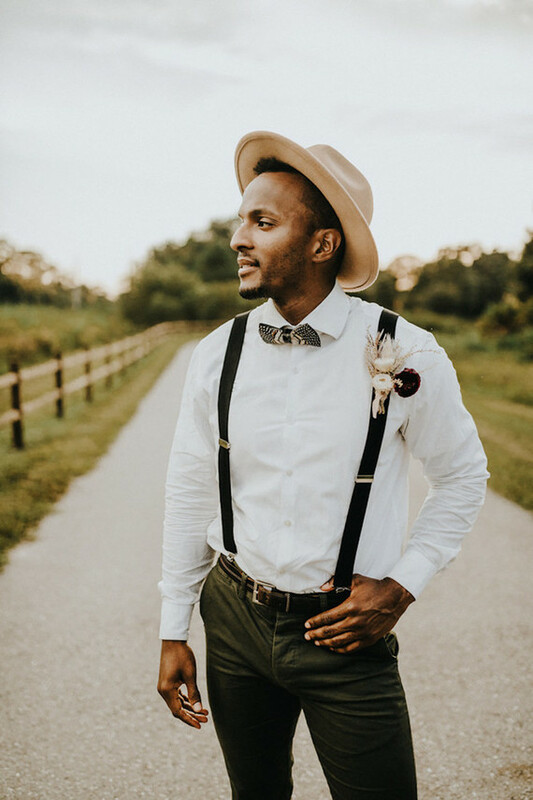 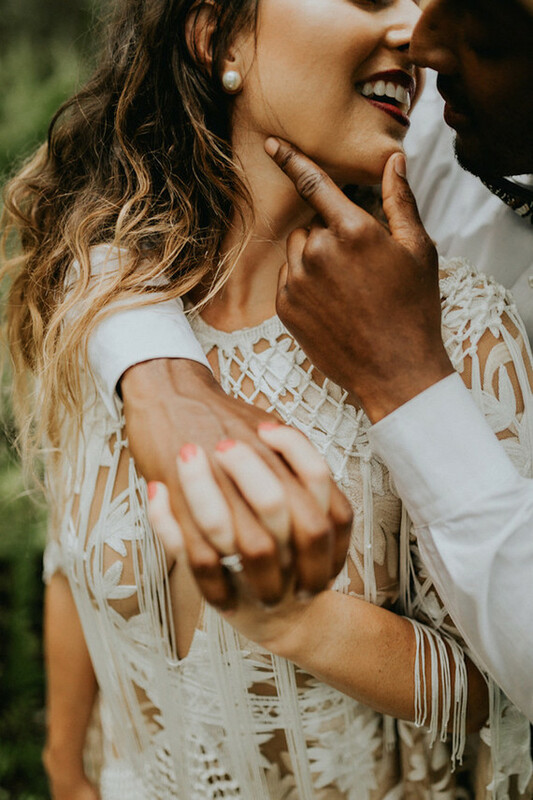 We’re all about having those blooms be the focal point of any event, and the Southern elopement inspiration below will have you dreaming up ideas for incorporating nature on a more intimate level. 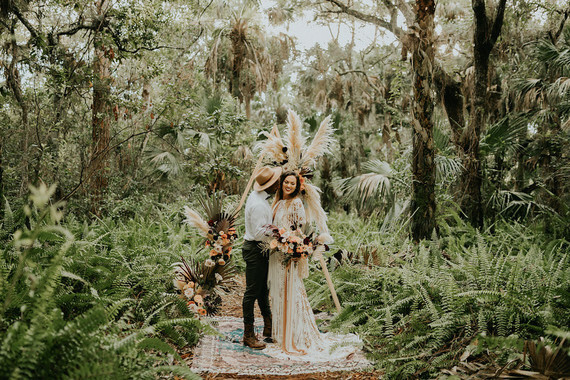 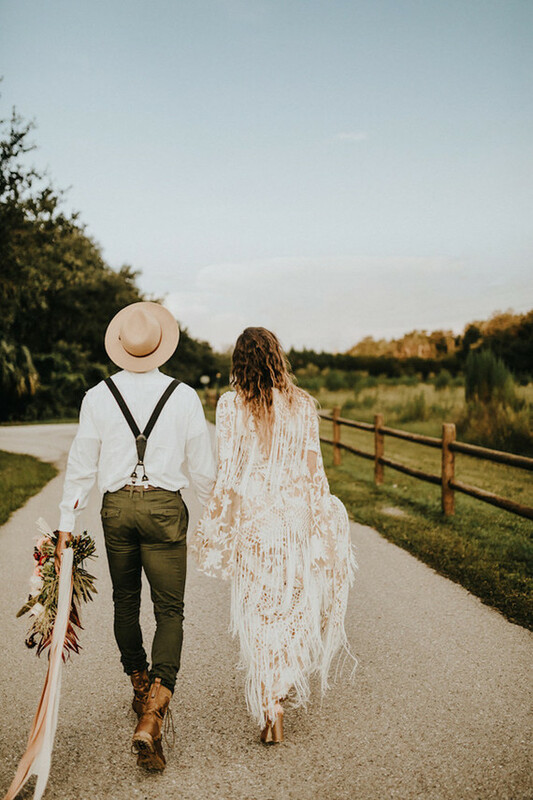 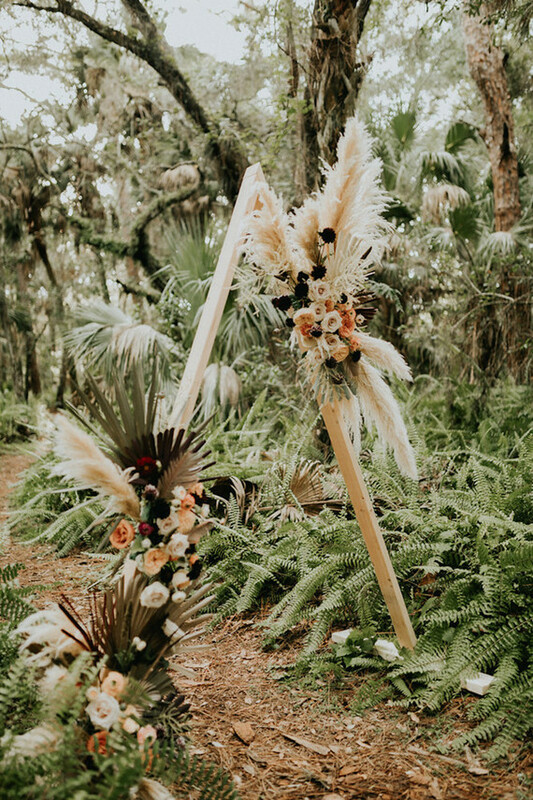 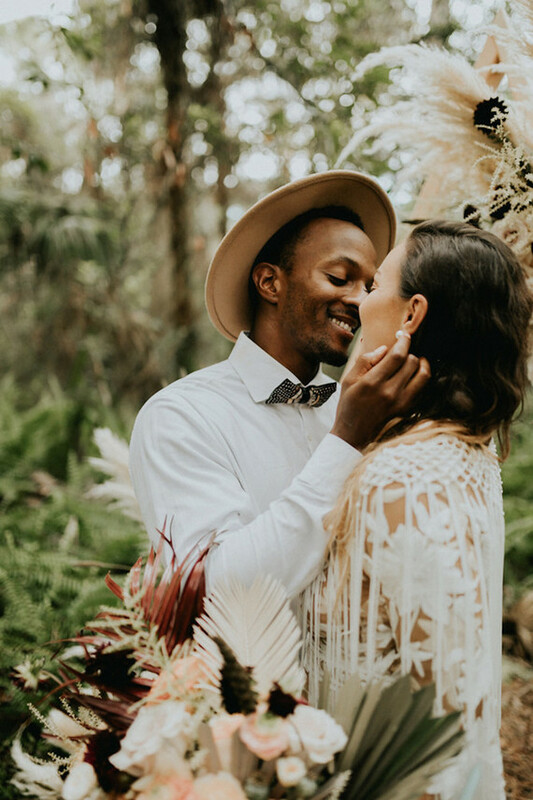 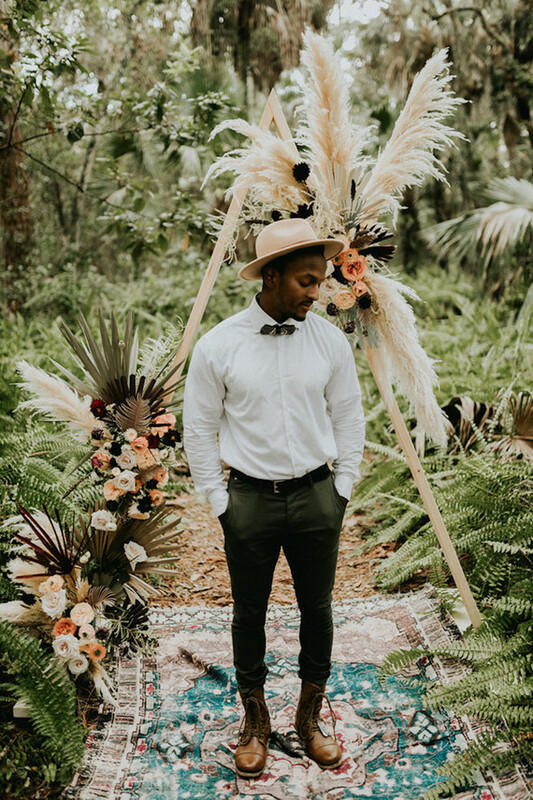 Based in southwest Florida, Amanda Caroline Weddings and Stephanie Paula Photography surrounded their bride + groom with gorgeous ferns and trees at Caloosahatchee Creeks Preserve. 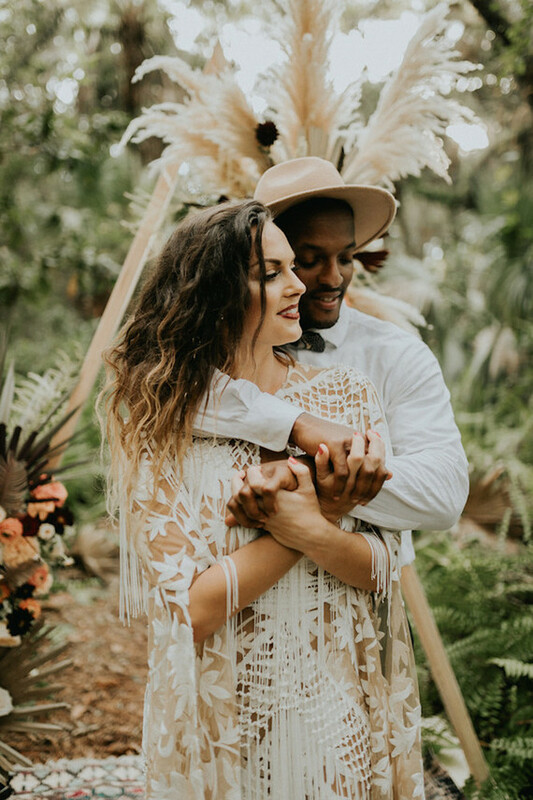 Stephanie says, So many times when people think of south Florida they think beaches. 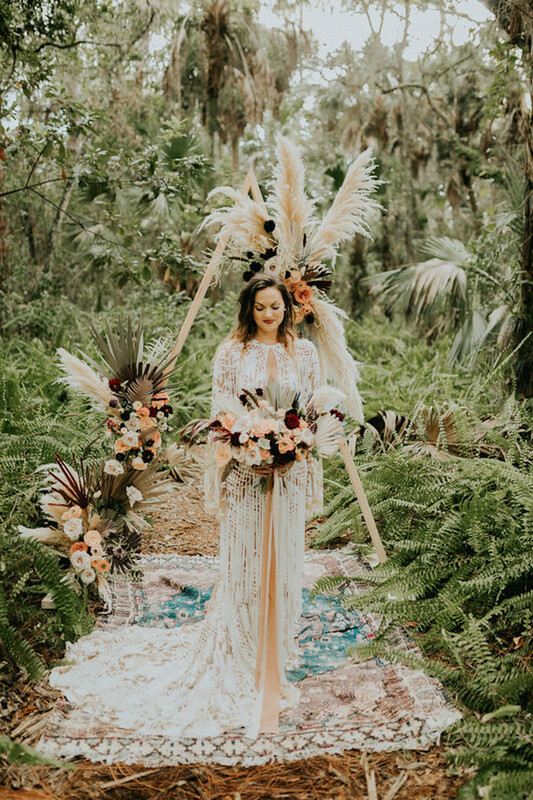 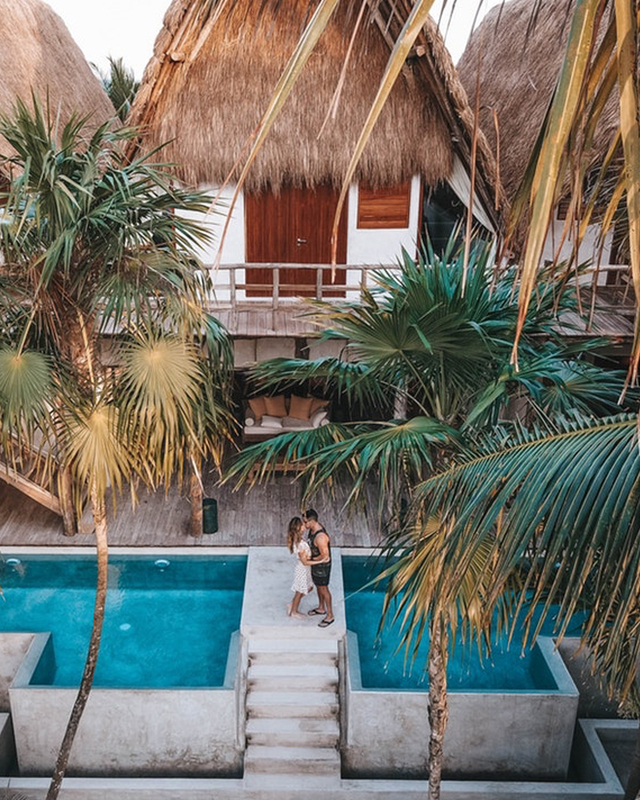 We wanted to show that with a little bit of wandering and thinking out of the box, you can really feel like you’ve been transported into nature’s little dreamland. 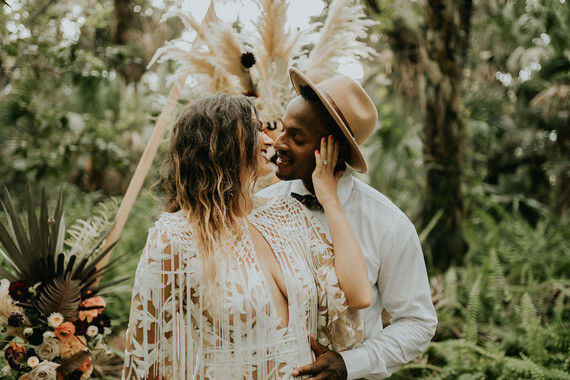 We were also super inspired from the drool worthy Rue De Seine Dakota dress from A and Bé Bridal Shop in Miami. 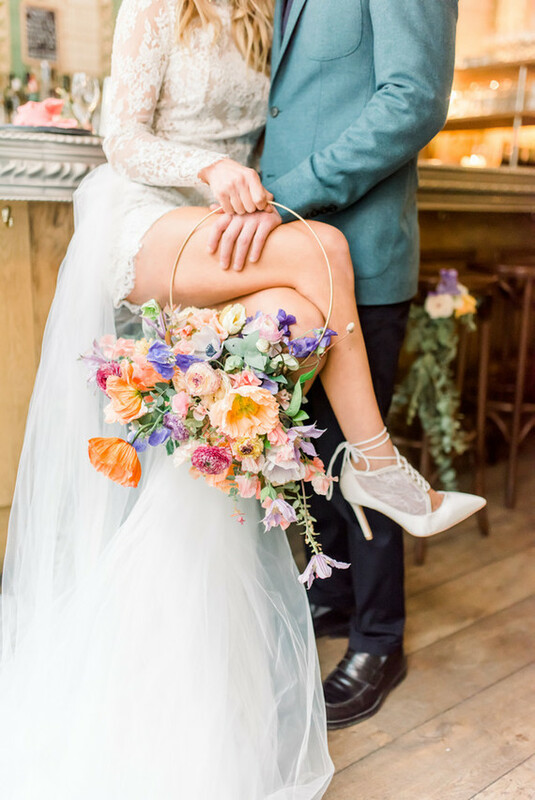 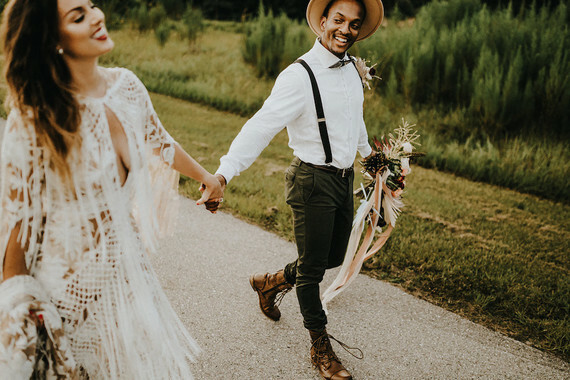 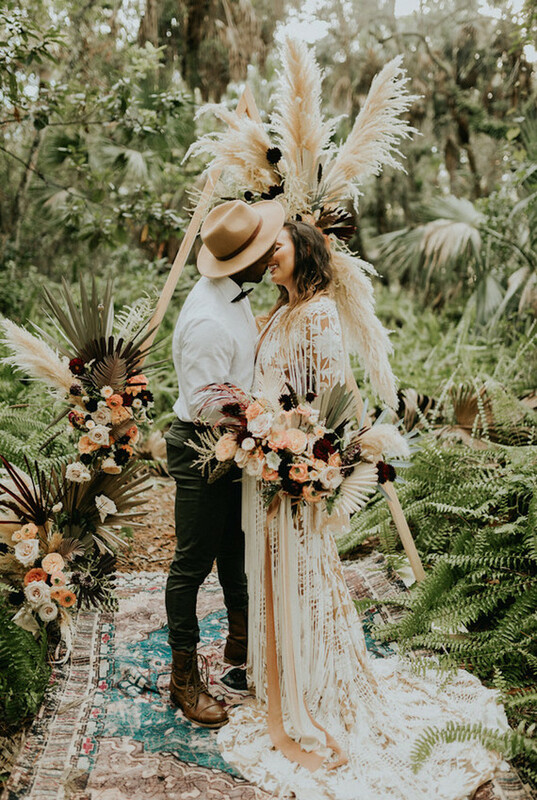 The overall bohemian style of it and movement of the fringe gave the whole day such a fun free-spirited vibe, which also matched our couple so well. 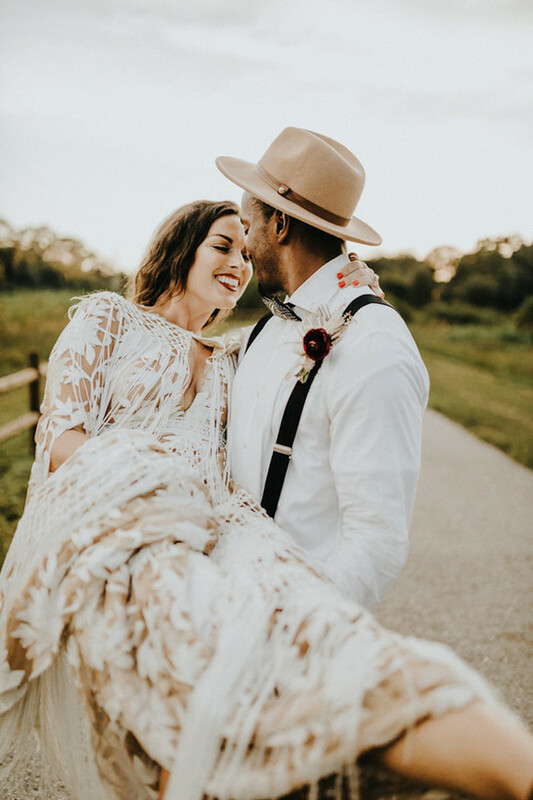 They’re laid back, full of joy and so fun! 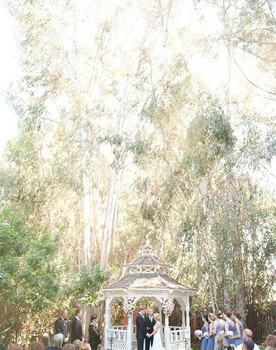 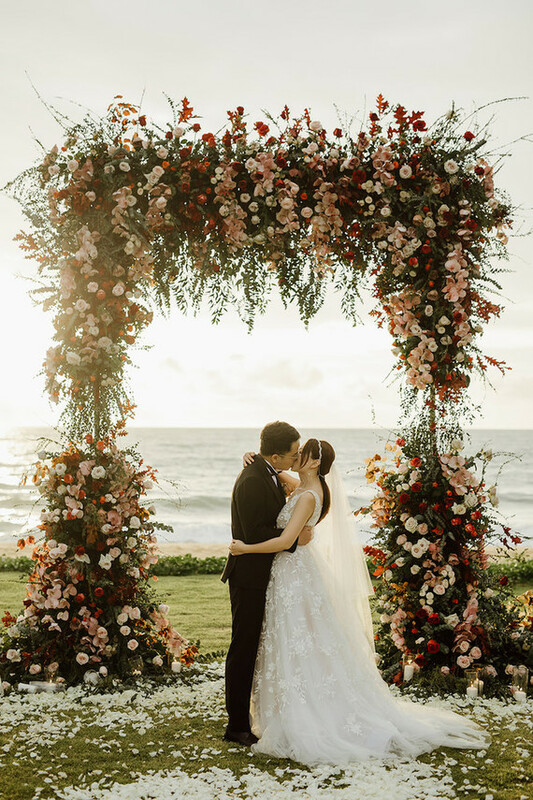 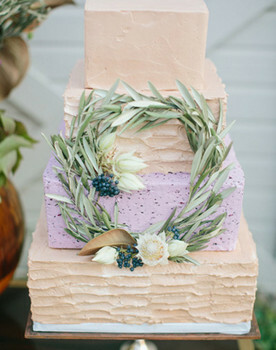 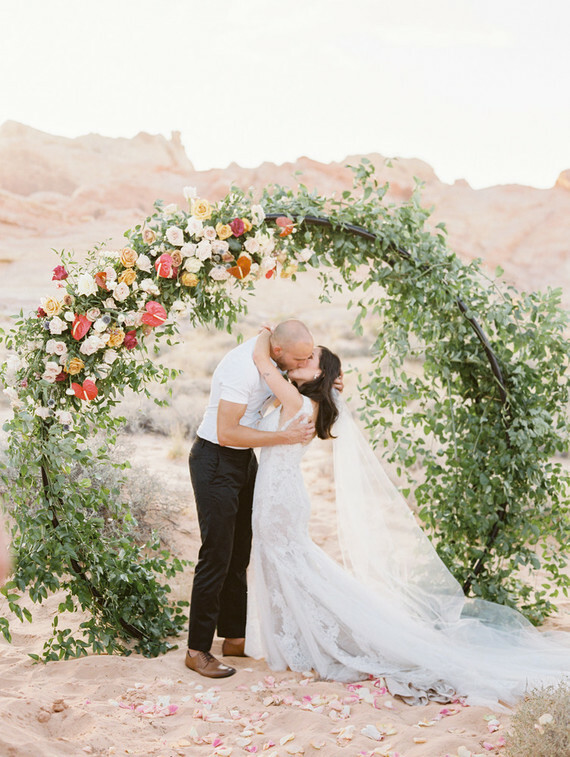 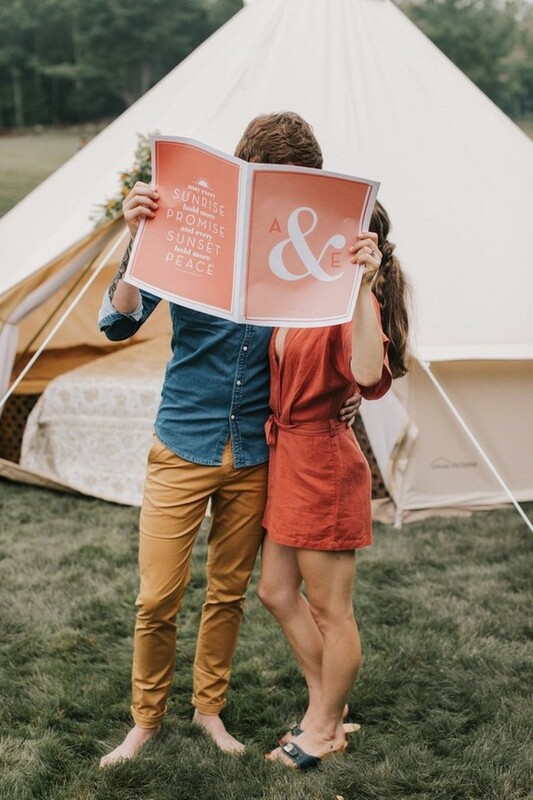 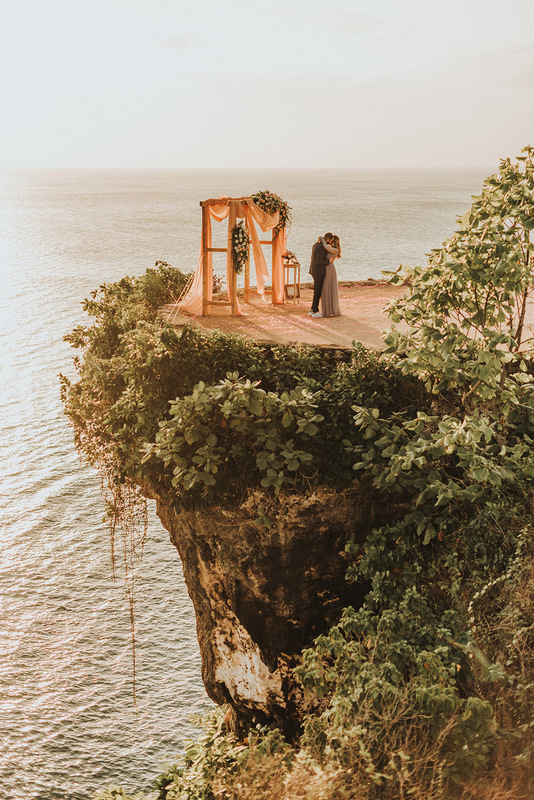 Isn’t this structure so perfect for a bohemian ceremony? 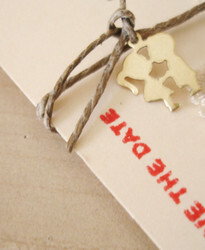 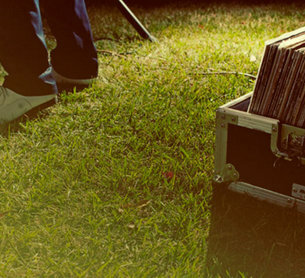 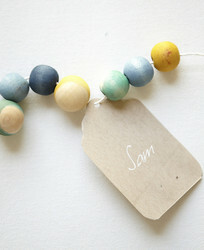 So simple but creative. 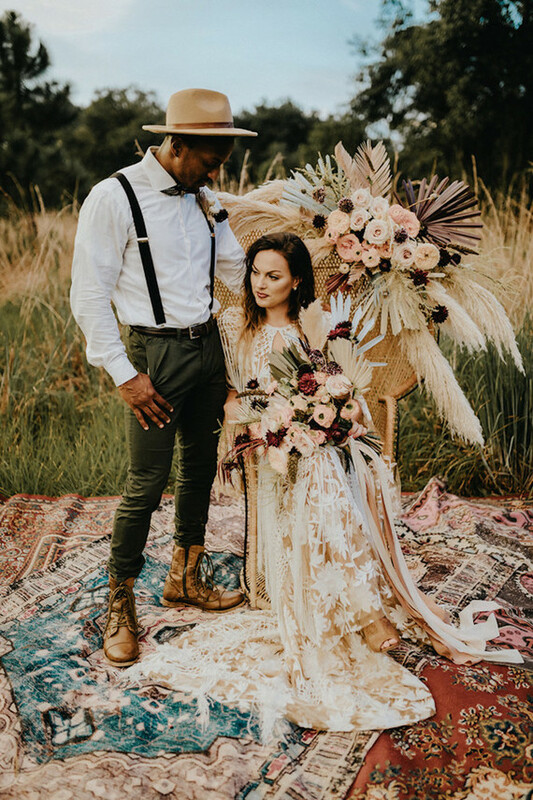 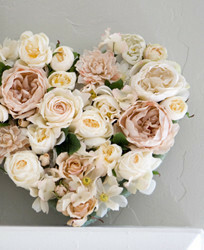 For the flowers, we teamed up with the amazingly talented husband and wife duo Kaleidoscope Floral. 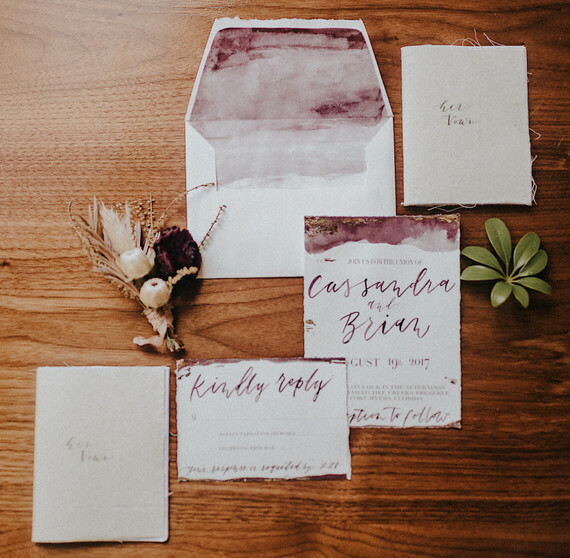 The florals painted the perfect fall picture with the neutral colors and pops of deep burgundy the tied in with the stationary. 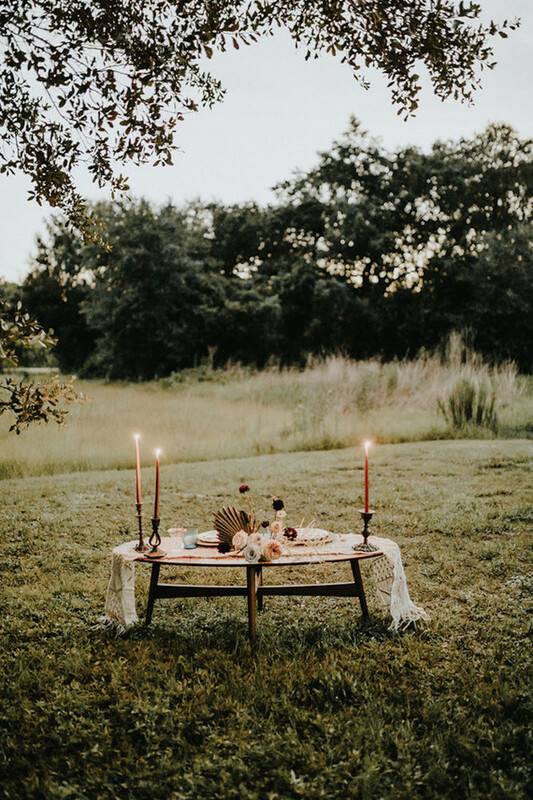 To end the evening we thought a candlelit sweetheart table would wrap the whole day in a romantic and intimate way. 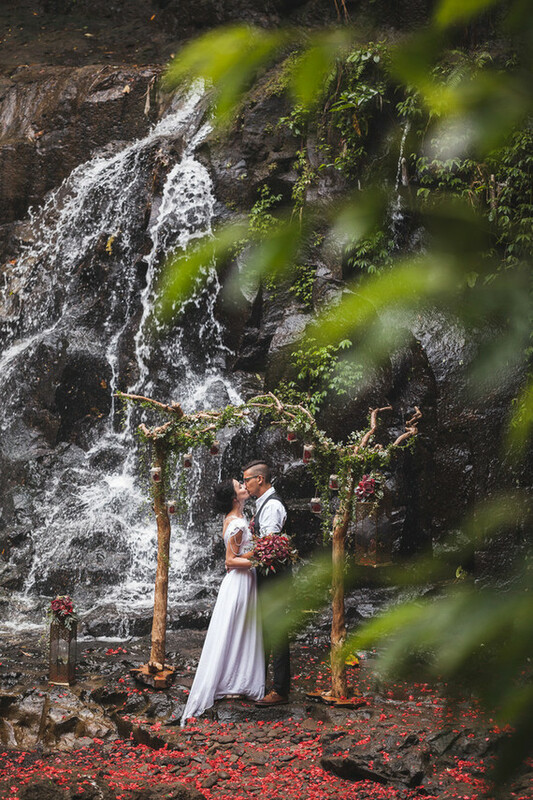 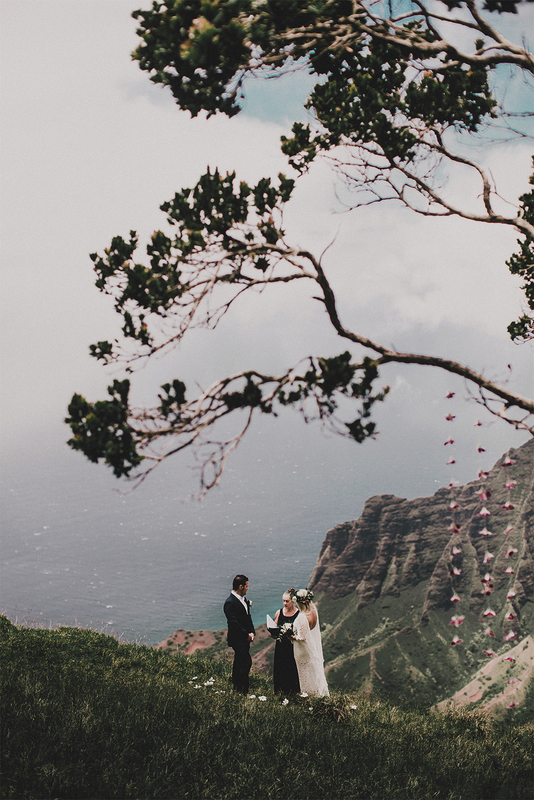 Could this crew have found a more enchanting location for their shoot? 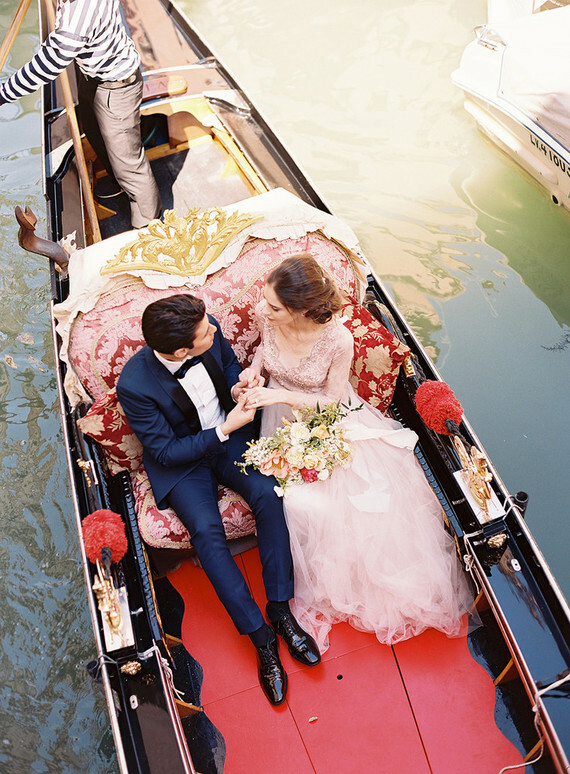 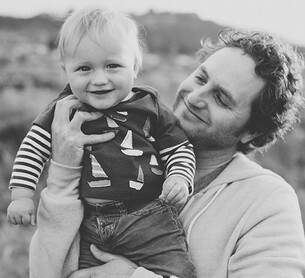 So, so lovely.